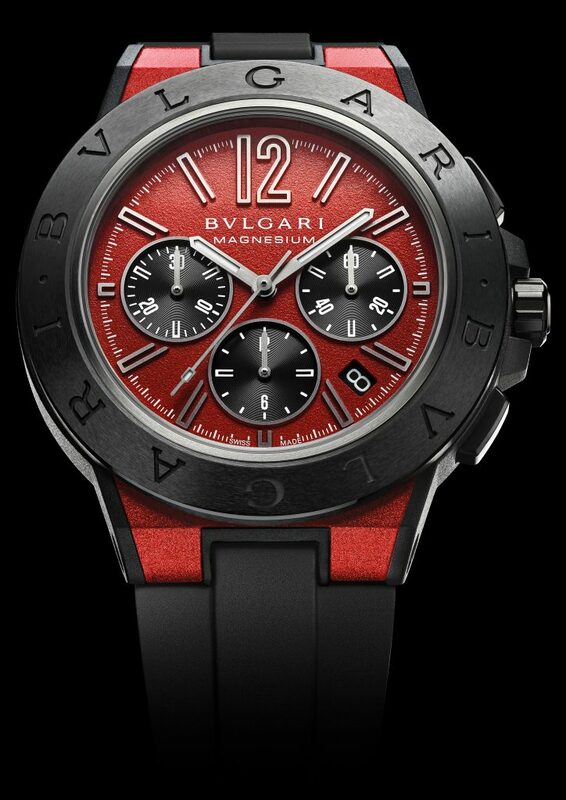 Bulgari presents with the Diagono a sports watch that is in a league of its own. The whole collection is technical and sophisticated and readily adopts an urban, cosmopolitan attitude. Its versatile nature stems from its inspiration rooted in ancient history – in Ancient Greek to be exact. The name Diagono comes from the word agôn, a classic term expressing competition and efficiency demonstrated in compliance with the rules of sportsmanship, in an inherently elegant matter. 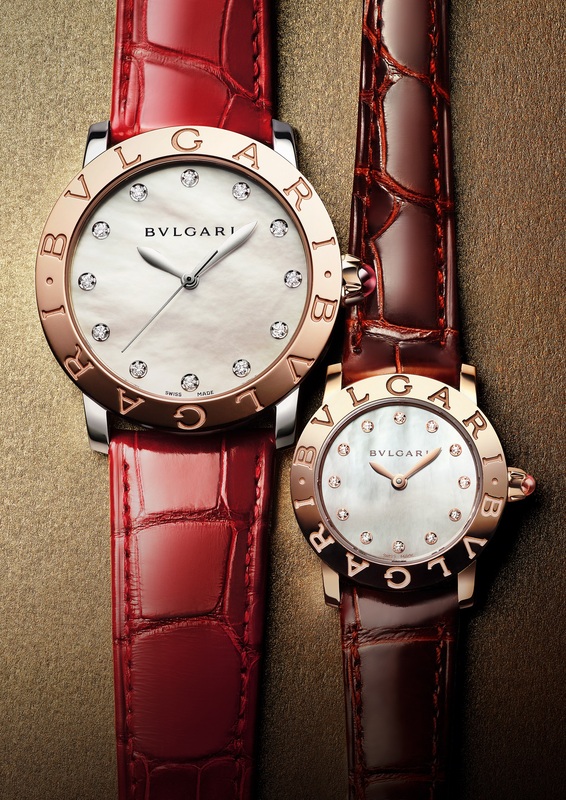 The symbol of Myron’s Discobolus – the Discus Thrower – sets the tone for the Bulgari Diagono watches. The Discus Thrower is the best-known work by Myron of Eleutherae, who earned a major place in the history of art and became famous for both his inventiveness and boldness. The design of the new Diagono Magnesium is inspired by the balance of grace, strength, power and agility in Myron’s works. And of course the watches pay tribute to the precision of Swiss watchmaking and Italian creative brilliance. Back in 1998 the Diagono was one of the very first watches to use materials such as aluminium, which caused a major upheaval in the design world. With the age of titanium came a fresh boldness, a new wager and further success. Last year, Bulgari introduced a whole new technological dimension with the use of magnesium and the combination of three technical materials. 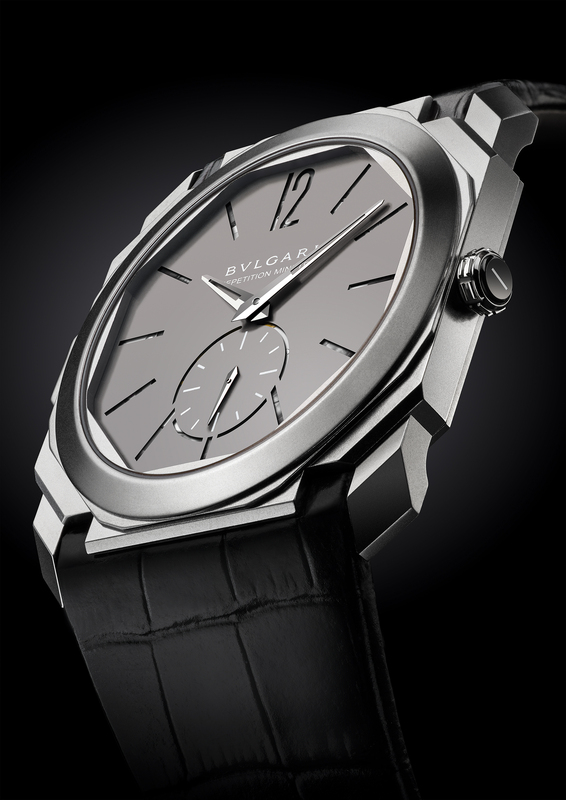 The Bulgari Diagono Magnesium is not short on style: The watch is resolutely contemporary and confidently asserting both its sportiness and its sophistication. The Diagono brings style to every occasion, every circumstance and every situation. The magnesium case is very light and is coated with motorlac which protects the case and at the same time creates a granulated texture and colourful new reflective effects. The bezel is made from ceramic, a light and scratch-resistant material. 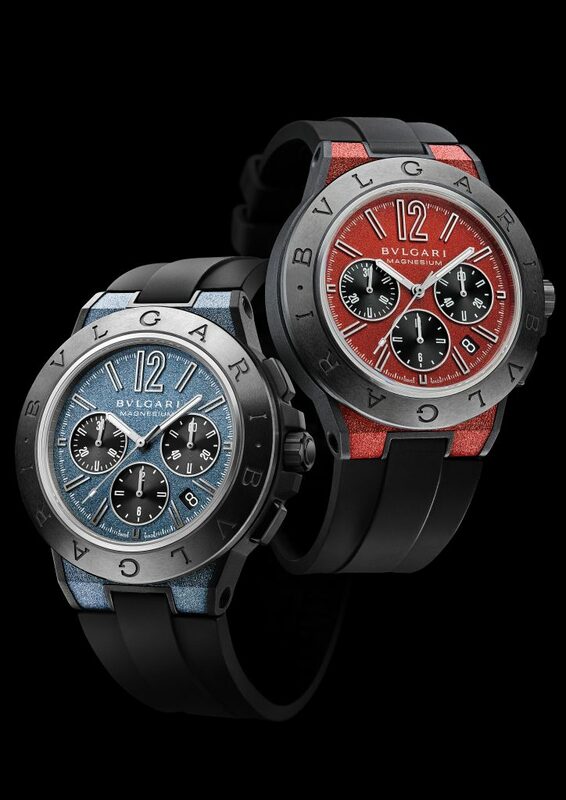 It comes with a diameter of 42.5 mm, in a lacquered red, blue, grey or black version. Every one of them is water resistant up to 100 m. The dials come in matching colours and they feature three subdials: A 12-hour-counter on 6 o’clock, a 30-minute-counter on 9 o’clock, and a small second on six a clock. 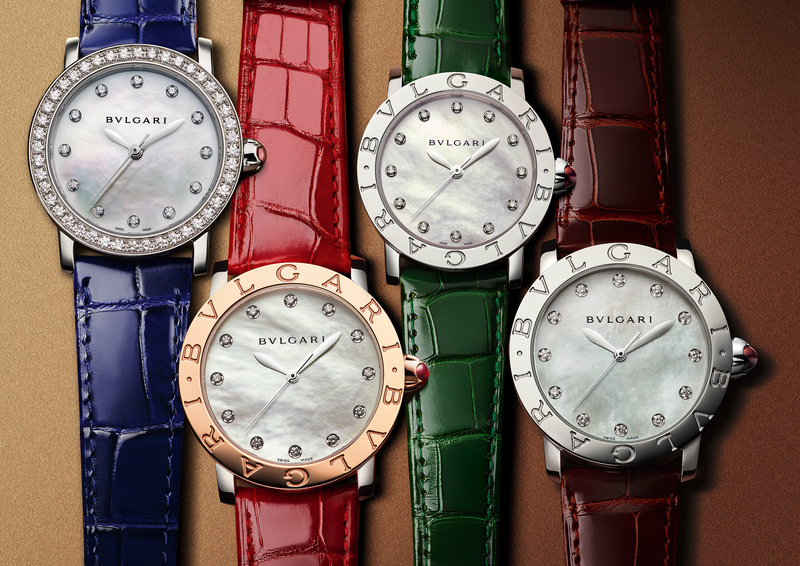 Bulgari also found place for a small date window at 4.30. 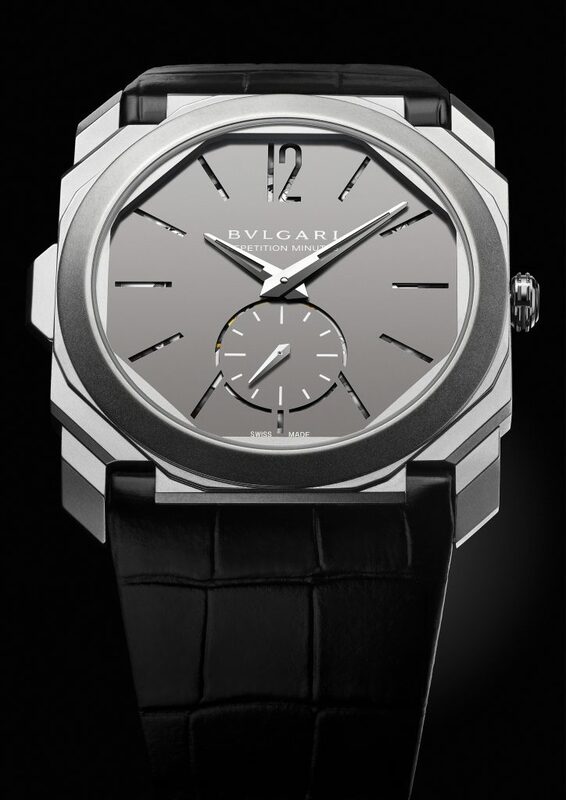 The Bulgari Diagono Magnesium Chronograph is powered by a mechanical self-winding movement. The calibre B130 works at 4 Hz and provides a 42-hour power reserve. The watch comes with a vulcanised rubber strap.